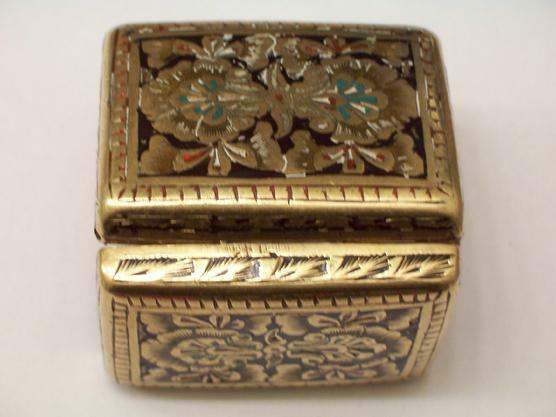 pill/ snuff/powder box with an intricate embossed design. 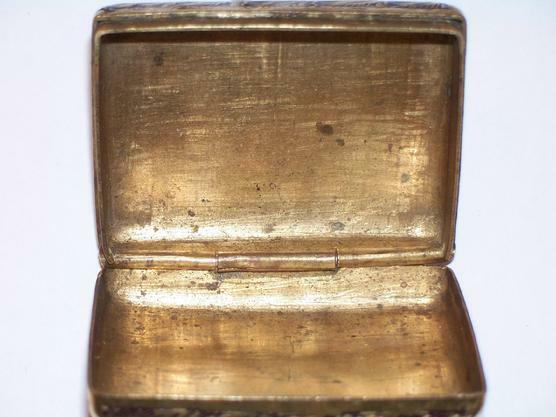 It is rectangle form, hinged cover. The entire body is covered with an incredible work of enamel made of Vivid colors. Finely detailed with high relief reposse foliate & floral form. Colors of blue, green, & red within the gold. 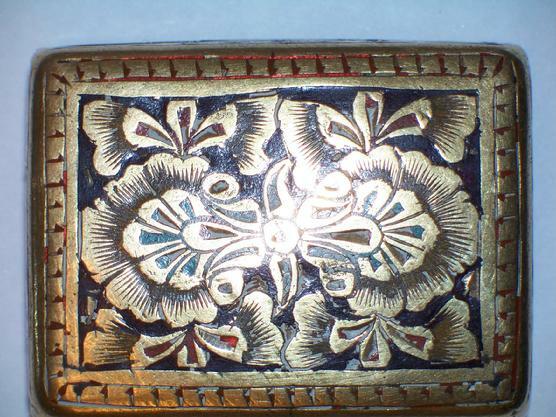 The enamel work is Impressive And precise. Measures 2" long by 1 1/2" wide and about 1/2" high. It has no dings or cracks. Can't find the numbers or markings.There are traces of numbers but cannot make it out clearly. 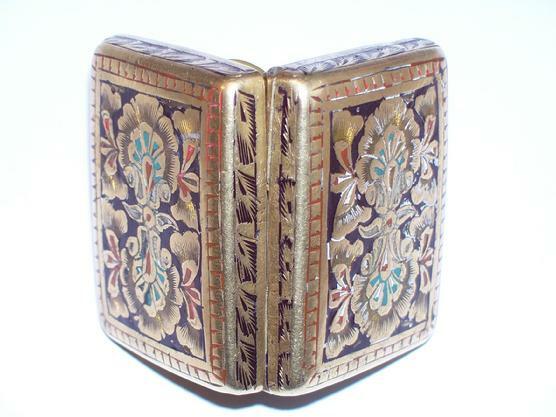 On the bottom, sides and top shows the detailed workmanship of superior quality beautiful engravings.